At Active Spine Chiropractic we treat all ages. We have had patients as young as 1 day old, and all the way up into their 90s. 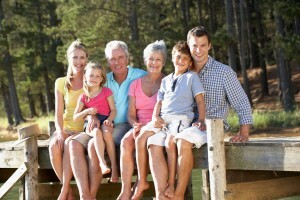 We have treated several families that span up to 3 separate generations. We believe that all ages can benefit from chiropractic care due to its positive impact on the nervous system. In order for our bodies to operate at their full potential, they need to be aligned properly. Many times accidents or mishaps that occur in our early childhood years can cause chronic pain, muscle imbalances, and posture differences if left untreated. As we move into our golden years, we want to be able to enjoy life and not slow down. A lifetime of chiropractic care has been proven to slow degenerative changes which will allow our bodies to move with greater range of motion, ensuring that our nervous system can operate at its full potential. That is why we believe that chiropractic care is for the beneficial for the entire family. Active Spine Chiropractic is a comprehensive state-of-the-art clinic ready to serve the health care needs of you and your family. Our chiropractors in Mooresville, NC, are the best in the state.